Why only India for customer support? Every enterprise operating in the contemporary business world is facing the twin challenge of an increase in profits through strategic generation of sales and consistency in customer service. In most cases, aggressive marketing helps you acquire more customers. However, providing services of superior quality is a challenge that every company in today’s world faces. In addition, the presence of a myriad of organizations in every industry has changed the mindset of customers to a large extent. A contemporary customer would never ever wait for you to respond if he feels that you are not up to the mark. Not only do you need to prove your worth through optimum customer care, but also make sure that the performance of your service representatives is consistent. Since outsourcing is able to accomplish both the objectives simultaneously, it is all the rage in today’s world. This is the reason outsourcing call centers to India is the first choice when it comes to the selection of world-class customer support destination. No doubt, India is preferred by organizations because of a variety of reasons. Since economic uncertainty looms over the global business horizon, the ability of a business to retain its existing customers becomes extremely important. Simultaneously, it is also necessary for a business to provide its customers with paramount customer support at the minimum possible price. Outsourcing call center services India gives an organization the opportunity to do both the tasks together. Consequently, global businesses have chosen to go with the flow and looked to India. The customer service industry of India has indeed grown a lot ever since the time it started. At present, the call centers operating in this country support a variety of businesses through their communication channels such as chat, email and voice support. No matter what service you are looking for, the outsourcing arena of Indian market is capable of providing you with the desired results in every aspect of customer care. Partnering with a contact center service company in India provides you with an opportunity to acquire an extensive service range at a price that does not matter when compared to the profits both in monetary terms as well as otherwise. 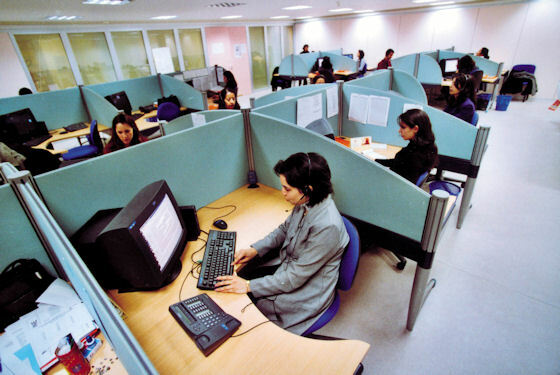 In addition, hidden advantages like time zone and round-the-clock support encourage enterprises to collaborate with an Indian contact center company. Your business affiliate in India is ready to work even at a time when you and your employees are sleeping peacefully. Thus, you are active despite being in an inactive state.